Max Height with Column Retracted: 47.6"
Camera tripods belong in every serious photographer's toolkit. Comprised of tripod legs, feet, and mounting heads, these stands provide vital stability and expand creative choices. Using the right photography and video camera tripods ensures you're always prepared to take the optimal pictures in any situation. 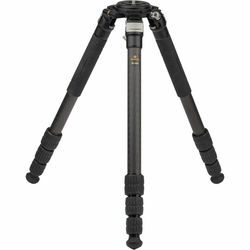 Camera tripods are camera stands that hold cameras in a stable position and eliminate shake and blurred pictures. However, they can also expand your creativity in many ways. For example, using one allows you to take long exposures, shoot dark scenes without a flash, and even take selfies with the use of a timer. One of the most important components of camera stands and tripods are the tripod legs, as these determine the stability of the unit. Traditionally, the legs were aluminum, which offers reasonable strength and durability at an affordable price. Today, the trend is moving toward tripod legs made of carbon fiber. While costing more than aluminum, this material offers a matchless combination of strength and lightness. 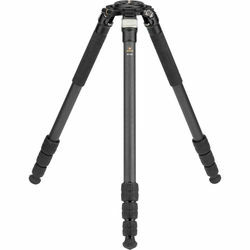 Many tripod stands offer telescoping legs, which allow you to quickly adjust the height. The next key component of a tripod is the mounting head, of which ball and pan-and-tilt are the two main options. The mounting head sits atop the legs and enables connection with the camera, usually via a threaded screw. Most budget and table tripods come with fixed heads, while more sophisticated models let you choose and change your own head as needed. Heads also come equipped with mechanisms such as levers that allow you to pan or tilt the camera to frame just the picture you need. Also available are tripod head platforms, which expand functionality. The main criteria when investing in a tripod include the height, collapsed size, load capacity, and head type. In terms of height, they range from tabletop and mini tripods that measure less than 12 inches, to studio tripods that extend to 5 feet or more. You can find more flexibility in models with telescopic legs that you can expand as required from a compact, collapsed size. Load capacity refers to the maximum weight of camera and lenses that the tripod legs and head can handle. Telephoto lenses can be heavy, and if you're shooting movies, video camera tripods are available. These often feature fluid heads for smooth panning. You should also consider any creative features you may need, and pick your tripod stands accordingly. For example, some models also offer heads with the ability to move quickly between landscape and portrait aspects, which can help you capture just the image you want. Be sure to pick up some tripod cases to protect your gear when traveling and to stash it away safely. Find your ideal camera tripods and parts including tripod legs and lens quick release plates and tripod collars among the extensive collection at B&H Photo and Video.